We have a large stock of drape and starcloth at our Leicester warehouse. 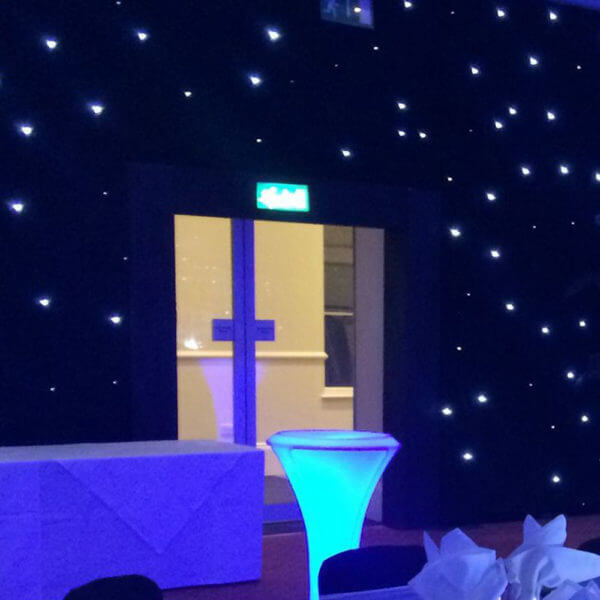 Our stock includes ShowLED starcloth, black wool serge drape, white pleated drape and door surrounds. All drape and starcloth products are cleaned and checked before each hire. We have large stocks of pipe and base also available to hire if required.